As more servicemembers exit the service and enter the civilian job market, many find that their military skills may not be as up to date as they thought. And, while many veterans exhibit discipline, leadership, and diligence, they may lack the technical skills many employers look for today. In fact, more than half of open positions today require some technology skills, according the U.S. Bureau of Labor Statistics. However, the Elevate America's Veterans initiative - created by Microsoft Corp. and the Iraq and Afghanistan Veterans of America Organization - will give veterans and military spouses the technical training and resources they need to be successful in the civilian workplace. "Our servicemen and women are amazing leaders, but to be able to compete in the tough job market when they return from duty, many of them need access to technology training," says Pamela Passman, corporate vice president for Microsoft Global Corp. Affairs., in a written statement. Over the next two years, Microsoft will donate $2 million in cash and up to $6 million in software to eligible programs that help veterans and military spouses entering the civilian job market. These programs and organizations can include veterans service organizations, workforce agencies, community colleges, and other nonprofit organizations. IAVA will act in an advisory role over those two years, in addition to serving on a coalition of public, private and non-profit organizations. Additionally, the funding will support skills training, job placement, career counseling and other support service such as child care and transportation. "In the coming years, a significant number of veterans will seek civilian employment opportunities," says IAVA Founder and Executive Director Paul Rieckhoff in a press release. "Microsoft's new initiative provides veterans with the tools to successfully transition to new careers and contribute to economic growth in an especially tough economy," Rieckhoff adds. Sen. Daniel K. Akaka (D - Hawaii), and chairman of the U.S. Committee on Veterans' Affairs, applauded Microsoft's contribution to the military community, and supports the initiative's goals. "The men and women who have served in uniform make excellent employees, and I believe this effort will go a long way to helping them succeed in the 21st century work force," Akaka says. If you're interested in learning more about his program, visit IAVA.org, or Microsoft.com/elevateamerica. 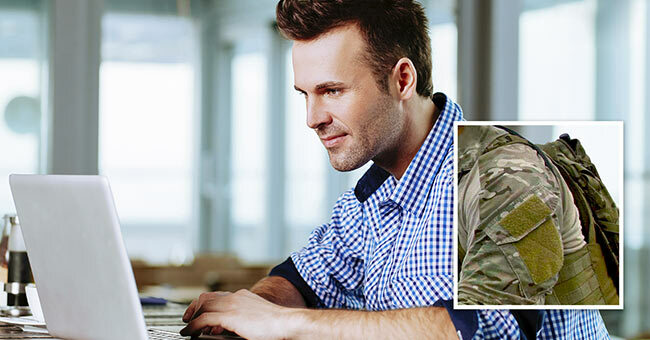 And, Military.com's careers can also connect veterans to military-friendly employers, or other veterans who can help them prepare for their re-entry into the civilian workforce.